Modern Noise – WMPG’s new music reviews produced by our USM students. They will feature music that they are listening to and will tell us all about these cool new releases and why they love this music! The first review features Epoch which is the fourth studio album by electronic artist Tycho. Check out the review by Bethany Petritsch for EPOCH. The second review features If These Trees Could Talk, an instrumental post-rock band from Akron, Ohio. Check out the review by Skye St. James and Shay Leavitt for THE BONES OF A DYING WORLD. The third review features the band called King Lizard and The Lizard Wizard. Again Skye and Shay team up to highlight the album NONAGON INFINITY. The fourth review comes to you from Marissa Matson. 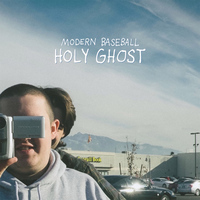 She Highlights the album Holy Ghost from the American band from Philadelphia named Modern Baseball. The fifth review is presented by Shay Leavitt. She talks about one of her favorite bands, Explosions in the Sky, and their album from 2016 titled The Wilderness.